On Thursday, 7th of February, a group of 30 female students accompanied by their teachers, Ms Carew & Ms O’Driscoll attended the I WISH conference in Cork City Hall. The I WISH is an initiative to inspire, encourage and motivate young female students to pursue careers in STEM (Science, Technology, Engineering & Maths). I WISH (Inspiring Women in Stem) features a conference and interactive exhibitions. The conference also features workshops, daily keynotes and engaging talks by women and men who have seen the opportunities for a great career in STEM. We listened to incredibly powerful inspiring speakers such as the MC Sinead Kennedy from RTE, one of the IWISH founders Gillian Keating wo is a lawyer herself on Choices, Chances & changes we can make to create our own inspiring future. Others speakers such as Aine Weldon from Qualcomm & Kathy Chou from VMWare spoke on the impact Technology has on our lives. They said that by 2030, experts have predicted that 80% of all jobs will be in STEM related careers. 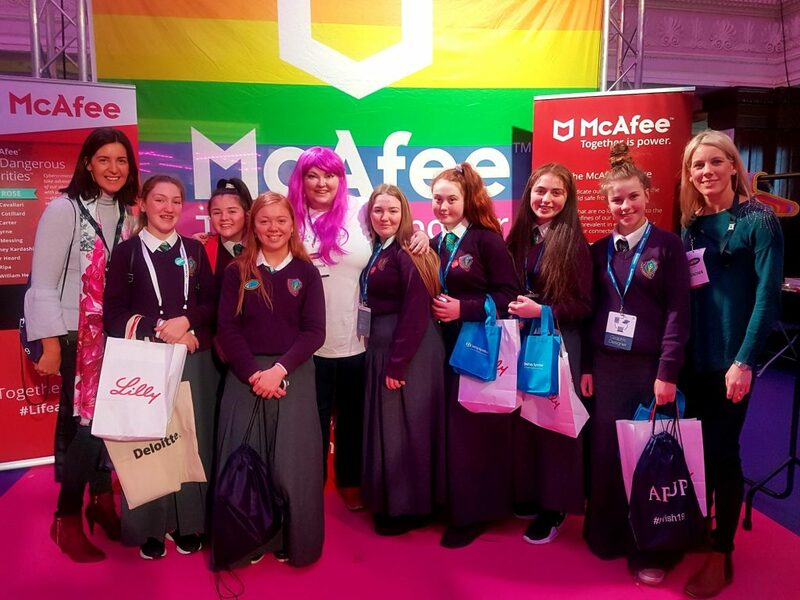 The panel discussion that followed was incredibly interesting with women from careers such as Project Engineers, VMWare Managers, Lecturers in Civil Engineering & AIB Senior Branch Manager giving us advice and a clear message to“Be your Authentic Self”.